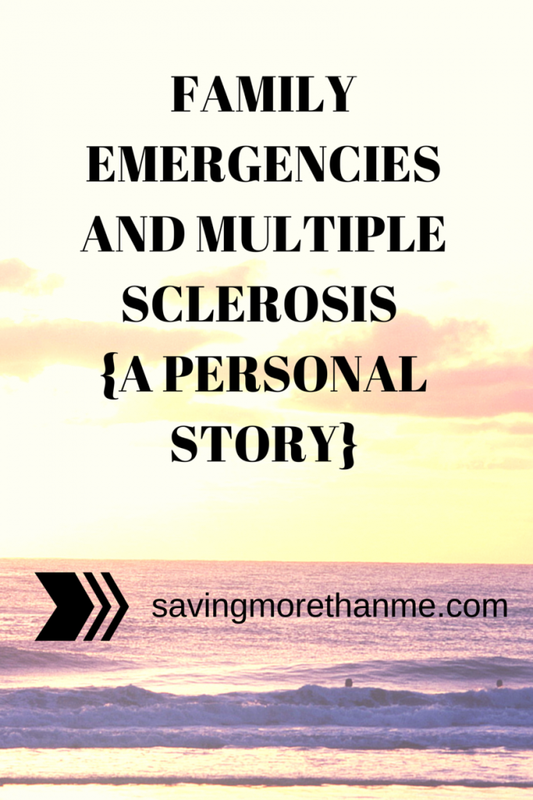 A personal story about dealing with family emergencies while having multiple sclerosis. As I pull into the hospital parking lot, I wonder: how did I get here? I don’t even remember the drive. The only thing I remember is finding my dad colored blue and listless in his bed. Fear sets in as I get out of the car. Dear God, I don’t want to walk into the hospital and hear that he passed away. I’m not ready yet. My dad’s not ready yet. And why is the handicapped parking lot so far away from the hospital entrance? As I enter the room at the ER, I find my dad hooked up to machines struggling to breathe. He literally looks like a fish out of water. He struggles with each breath and he is full of pain and anxiety. Dad and I have been through this before. COPD/emphysema has caused 5 other hospital visits. This time though…I sense something is different. It is different. Dad requires immediate sedation and intubation. A ventilator is now doing the breathing for him. I hear the words “serious condition” and “poor prognosis.” Is the room swirling? Why are people so loud in the next room? And what is that God-awful smell? Using the sides of his bed for support, I stand and gaze upon the man in the bed. I see no signs to indicate that this man is my father. His humor, calm demeanor, and even his red hair…. it seems to have all disappeared. All I see is a lifeless body. A body that I am told is my father. Dad is eventually transferred to the Intensive Care Unit where nurses and doctors work quickly to set him up in his new room. Each one of them is kind and caring and takes the time to answer questions. All I can do is sit there and pray. I feel immobilized. As the adrenaline starts to fade, my head starts to throb. My body is full of aches and pain. Why is this chair so uncomfortable? Maybe I’ll stand up….or not. Damn you legs. Why aren’t you letting me stand up? I try again and I am able to stand with difficulty. My legs are weak and shaky. Losing leg strength….what a cruel betrayal. At around 8 pm, I leave the hospital and head to my car. Legs, please don’t let me fall in the hospital lobby or in the parking lot. There’s no one around to pick me up should I fall. At 7 am, my alarm wakens me from a restless slumber. I’m disoriented and weighed down with fatigue. I’m unsteady as I head to the bathroom. Lord, give me the strength to be there for my father. Lord, how about just giving me strength period. My knees don’t want to bend due to leg spasms so I walk like a robot. I feel like a robot. I am numb inside and my brain doesn’t want to work. Why can’t I form a complete sentence? Knock, knock, helllloooo, brain, it’s time to work. Any neurons in there ready to fire up? I need to sign the consent form the nurse has placed in front of me. Did she explain the procedure? The risks and benefits of the procedure? Yes. She did. I just can’t seem to remember a single word she said. Friends and family want updates on my dad’s condition. I don’t feel like talking to anyone. Is that selfish? I can’t help it. I’m physically, emotionally, and mentally drained. I decide to find a happy medium which is texting updates. When did texting become so difficult? And slow? The tremors…they make it hard to hit the right keys on my smart phone. How is that word spelled again? Are these tremors from the Multiple Sclerosis or the Copaxone shots? What difference does it make when my dad is lying in a medically induced coma in the bed before me?! Three weeks pass but it feels like years. The weight of 8-12 hour days wear on my body. My mind starts to suffer under the stress. I feel hopeless. I feel angry. I feel sad. I want my dad back. “I want my dad back” I cry as I collapse onto the kitchen floor. Will.sleep.right.here. In the third week, dad is weaned off the ventilator and he is slowly taken out of the coma. I smile in his presence despite the constant physical pain and fatigue I feel. 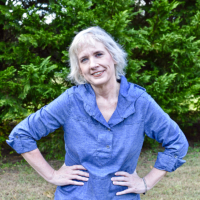 Smiling in spite of the pain and fatigue…..I feel empowered. Take that MS.
As I walk through the Intensive Care Unit waiting room, I spot worried faces, tear filled faces, and tired eyes. I see a woman who looks like she’s in a lot of pain. She grimaces from time to time but otherwise her expression is neutral. The bags under her eyes indicate fatigue and little sleep. She wrings her hands and stares out the window. This woman is certainly determined because I have seen her here every day. She is definitely worried about her loved one. I glance away as I don’t want to stare. I glance again and see my reflection. Today, dad remains in the Intensive Care Unit— alert, oriented, and awake. Instead of ventilator tubes, he now breathes through a tracheotomy hole. <—-This is the price he has paid for years of daily cigarette use. It doesn’t matter what brought him here…. As long as dad is in the hospital, I will be there to support him, care for him, look after him. There’s a price to pay though and it’s called increased pain/fatigue/overall weakness hell. My dad continues to fight to get better. I continue to fight to be by his side. Neither one of us are lying down our swords just yet. We’ve both got fight left in us. Dad smiles when he sees me walk in the room and you know what? I smile right back. P.S. 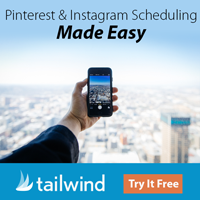 I did not write this post to elicit sympathy or for a pat on the back. 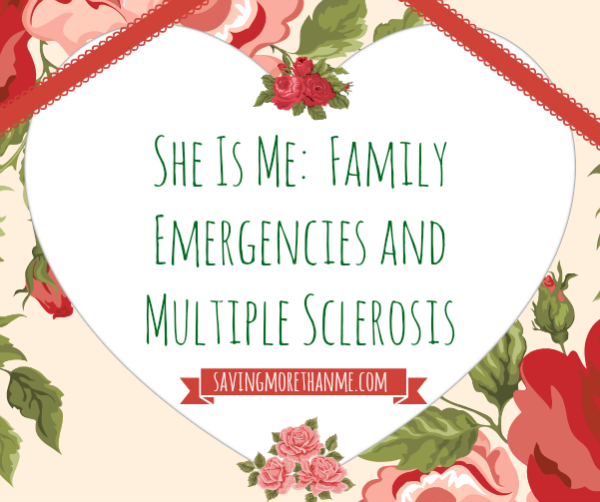 I wrote this post to shed light on how those with MS handle/respond to family emergencies differently from others. We are affected by sounds, scents, hospital lights, worry for our loved one, etc., on a magnified level. 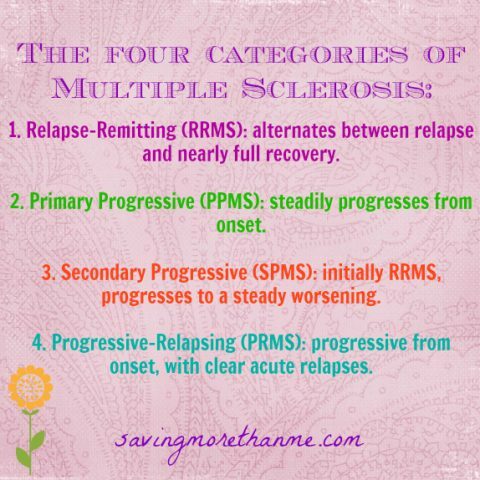 If you are an MS’er, be patient with yourself and practice self care. If you have a loved one with MS, be patient with them and offer your assistance. It will make a world of difference.